Axes were among the most useful toos and weapons wielded by craftsmen and warriors of the Viking times, and were crafted with great care and pride by the Viking blacksmith. 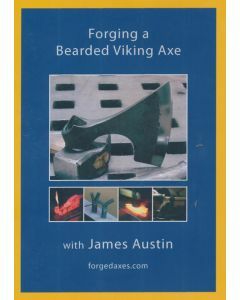 Forging a Bearded Viking Axe will teach you how to use traditional blacksmithing skills and hand tools to forge an axe with the strength, keen edge and beauty of pieces produced by the Vikings over a thousand years ago. James Austin is a professional blacksmith and educator in Oakland, California. From 1982 to 1988 he served a traditional apprenticeship and three journeyman's years in Bavaria after which he returned to the San Fransisco Bay Area to found his own blacksmithing studio. His approach to smithing is rooted in the historical techniques which he learned in Germany and the traditional tools he has gathered and forged for himself. His focus is on the creation of top-quality, historical and artistic metalwork measured by traditional standards. This instructional video takes you step by step to forge a Colonial Period Flint Striker from a discarded file. A great instructional video for the novice and expert alike. 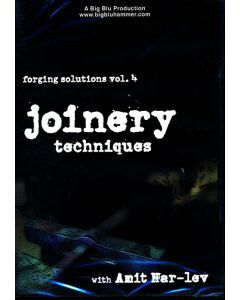 Kim Thomas brings a no-nonense approach to forging a tool. Kim shows simple ways to handle the task at hand without bogging down with detailed measurements. It allows the artist to emerge while developing a sense for what to expect of the metal and what it can do. It encourages the viewer to 'keep it simple' and think like the masters of yesterday. 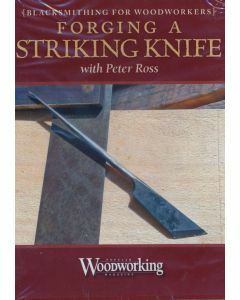 IMPROVE YOUR WOODWORKING with this simple, home-forged striking knife. Patterned after an early 19th Century design, this striking knife has a flat blade with a single bevel on one and and a this, round scribe at the other end. You can use the flat blade for severing fibers to make starting a saw cut or chisel cut cleaner, or you cna use the scribe for scribing lines or locating holes. This versatile tool is sure to be part of your woodworking kit and it takes less than an hour to make. In Forging a Viking-Age Broad Axe, James Austin shows in detail the staditional skills and tools used to forge a Viking-era axe with the same general techniques that were used by Viking blacksmiths over a thousand years ago. 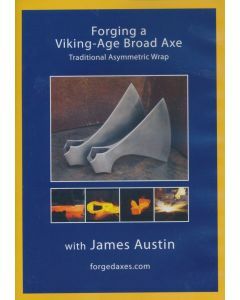 The method covered in this DVD is known as the 'Asymmetric Wrap", and which is prevalent among acual axe-finds from that time. These beautiful artifacts are displayed in museums all over the world and show the extraordinary skill of Viking blacksmiths. Format: DVD Run Time: 62 min. 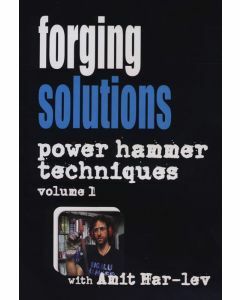 Power Hammer Techniques gives you an in-depth, up-close look at Amit Har-lev's Power Hammer forging style. Whether you're a beginner or have years of experience, Amit's accessible and entertaining teaching style will give you new insights into the art and craft of blacksmithing. Total Run Time: 1 hr. 41 min. with quick and easy menu access to all lessons. 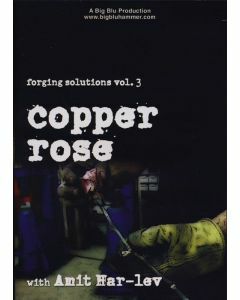 Forging a copper rose from a single piece...with no welds. With easy to follow tips and techniques. 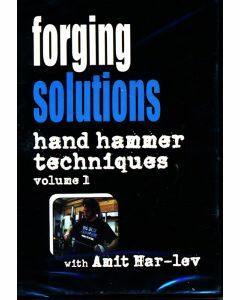 renowned blacksmith and teacher Amit Kar-lev takes you through the process, step by step. Total Run Time: 1 hr. with quick and easy menu access to all lessons.